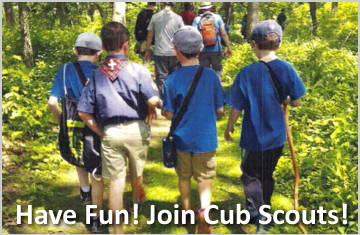 All boys entering 1st Grade and continuing through 5th Grade are invited to join Cub Scout Pack 690 located at St. Celestine School. Scouting has been at St. Celestine for over 80 years. Please see the Cub Scout Monthly Calendar on the right sidebar of this page. Find out what Scouting has to offer your son! 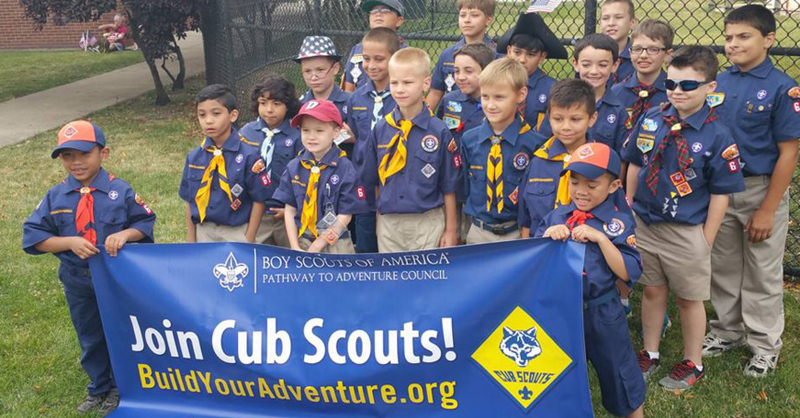 The Cub Scouting program takes place at two levels. Your son will be a part of a den; a small group of boys in the same grade level that meet once a month. All dens, from grades 1 through 5, make up a pack. Once a month, the dens, with their families, are together at the Pack Night meeting, where boys show off the new skills they have learned during the month and are recognized for the badges they have earned. For further information please contact Maria Malo, Charter Representative at mariamikemalo@cs.com. The Boy Scouts of America is one of the nation’s largest and most prominent values-based youth development organizations, providing programs for young people that build character, trains them in the responsibilities of participating citizenship and develops personal fitness. For more than 100 years, Boy Scouts of America has helped build future leaders by combining educational activities and lifelong values with fun. The Boy Scouts of America believes – and, through over a century of experience, knows – that helping youth is a key to building a more conscientious, responsible and productive society.